Who are the people behind the pizzas, and what made them choose a pizza peel over a briefcase? What's their inspiration and what keeps them going? We'll find out in this ongoing series. 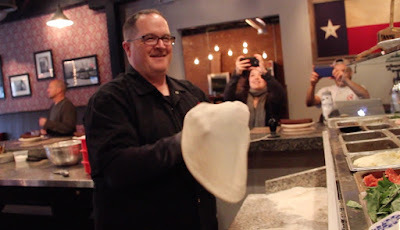 Jay Jerrier: I ended up in the pizza business by accident. I had worked for Fortune 500 companies for 21 years and I finally got tired of wearing pants and sitting in a cubicle, so we took a big leap. I honestly think the best part of the business is making people laugh and seeing the reaction on their faces when they have really good pizza for the first time. The real bonus is wearing a T-shirt and shorts to work every day. I love Mondays now…kids are off to school, wife is off to work, our restaurants are closed until dinner service, and all the deposits from weekend sales hit the bank account! 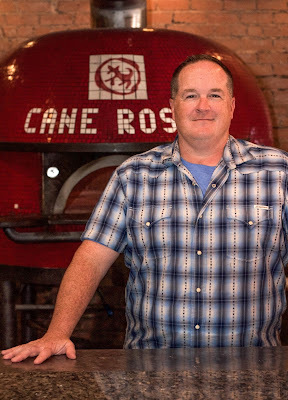 Jay Jerrier: I would have been thrilled to just have one successful restaurant. We had always hoped to do more than one, but we certainly didn’t think we’d have eight restaurants within five years. Luckily I have a great team around me that has really helped build an infrastructure that will allow us to keep growing. Once we get to 20 locations, we’ll see how everyone feels! Jay Jerrier: That one’s easy…passion. A lot of cooks/chefs treat pizza as a stop along the path to becoming an executive chef vs. treating it as the end goal. A true pizzaiolo, like our executive chef Dino Santonicola at Cane Rosso or Lee Hunzinger at Zoli’s is a rock star. Making the pizza the way we do is not easy, and all of our restaurants are really busy. You have to have passion to still want to make pizza the hard way in a high pressure environment. There are lots of ways to take shortcuts in the pizza world--all of them result in a crappy product. A great pizza maker doesn’t cut corners. Jay Jerrier: My favorite memory is probably the one that would eventually take me from the cubicle to a pizza restaurant. In 1995, my wife and I went on our honeymoon to Southern Italy. I was working in New York City at the time and all of my friends said, “You’ll hate the pizza in Italy; it’s nothing like what we have in New York.” We had our first real Neapolitan pizza at Pizzeria Aurora on the square in Sorrento. I’m sure that’s not even considered a top pizzeria in Campania, but it really blew me away. You could taste all the components of the pizza--bright tomatoes, milky fresh mozzarella, fruity olive oil, yeasty crust. It was amazing. After that I built a wood-burning oven in my backyard in Texas, then bought a mobile trailer, then opened eight pizzerias. The Pizza Insider: When you eat at other pizzerias, what type of pizza do you order? Jay Jerrier: I honestly don’t eat at too many other pizzerias unless I’m traveling, mostly just to see how their stuff compares. If you ask most pizza guys, they usually eat the opposite of pizza when they're out, which is usually Chinese or Thai for some reason. I love Bufalina and Via 313 in Austin, Prince St Pizza and Paulie Gee’s in New York. I will eat pizza at a place where I know they care about the product. If they have a terrible oven, or it’s dark inside the oven, I won’t even bother ordering pizza. Most of the time I want to try the meatballs and sandwiches…I mean salads! Jay Jerrier: There are lots of people who have inspired me along the way, whether in person or online. We are constantly looking for ways to get better and improve upon what we do. When we first started, Paulie Gee was a lot of help, the Palombinos from Motorino were a big inspiration, Shelley Lindgren from A16 in San Francisco. As we continue to evolve we keep our eye on the next generation of rock stars like Frank Pinello from Best Pizza, Christian Petroni from Fortina Pizza, and Matthew & Emily Hyland from Emily. Jay Jerrier: From the corporate world: What gets measured gets managed. We track everything and run our restaurant like a real business! From when I was first starting: Don’t be afraid to walk away from a location. A lot of times I will fall in love with a particular space, but the economics are out of line. It’s tough to walk away from something like that, but worth it in the long run. Jay Jerrier: 1) Don't be undercapitalized! You need a ton of money because there will always be surprises and delays. Always. 2) Make sure to use a tenant rep Commercial Real Estate broker. Let them be the bad cop in lease negotiations. 3) Find an attorney that has tons of experience with retail leases. Don’t do the first one yourself…you’ll regret it. Jay Jerrier: I think this whole “Chipotle of Pizza” bubble is going to burst. The market can’t support 100 variations on the same theme in the same city. The market leaders like 800 Degrees will continue to thrive, and then I will swoop in and grab all the vacant sites where the other guys were nice enough to build out restrooms, vent hoods, and walk ins for me! Jay Jerrier: FIGJAM - F*&% I’m Great, Just Ask Me. Great interview, Liz. Excellent questions and lots of great pizza insights from Jay Jerrier. Looking forward to more interviews! Very good information Jay has been an inspiration to us over the years as we tweak and refine our fast casual wood fired pizza model!